In this blog post I take a look at how we identify, analyse and manage risk on our projects. Risks are things that might negatively affect the outcome of a project. Risk is the direct result of uncertainty. If something is certain to occur, it's not a risk, and needs to be managed differently. Risk analysis helps us understand and quantify the risks. Risk management (sometimes called risk mitigation) is the plan we put in place to pre-empt, contain or mitigate the effects of risk on our project. The important thing to remember is that even in simple programmes, things can go wrong, and we need to make plans to minimise their impact. When identifying risks, we look for things which could be helpful (positively affect the project), or harmful (negatively affect the project). We also look for risks which are internal (inside the organisation or within the project's influence) or external (outside the organisation or outside the project's influence). 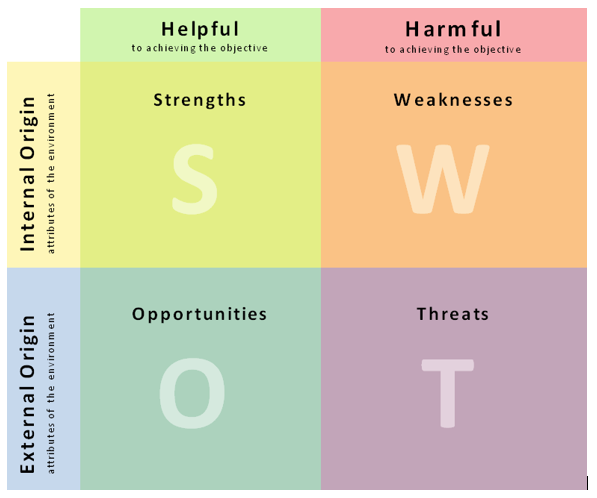 We can combine these into a classic SWOT analysis of our project's strengths, weaknesses, opportunities, and threats. So that we can measure risk and decide which deserve most attention, a subject matter expert should apply values to each risk's probability (how likely is it that it will occur) and impact (how bad it would be if it occurred). 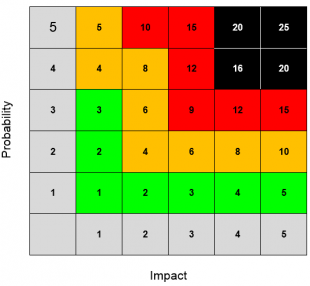 We multiply a risk’s impact score by its probability score to get its risk rating. 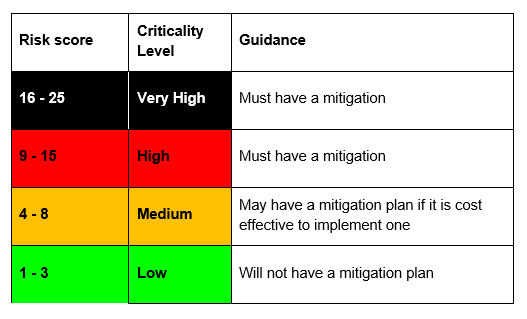 In my next blog post, I'll look at how we used the RAID (Risks, Assumptions, Issues and Dependencies) to manage risks on one of our agile projects.